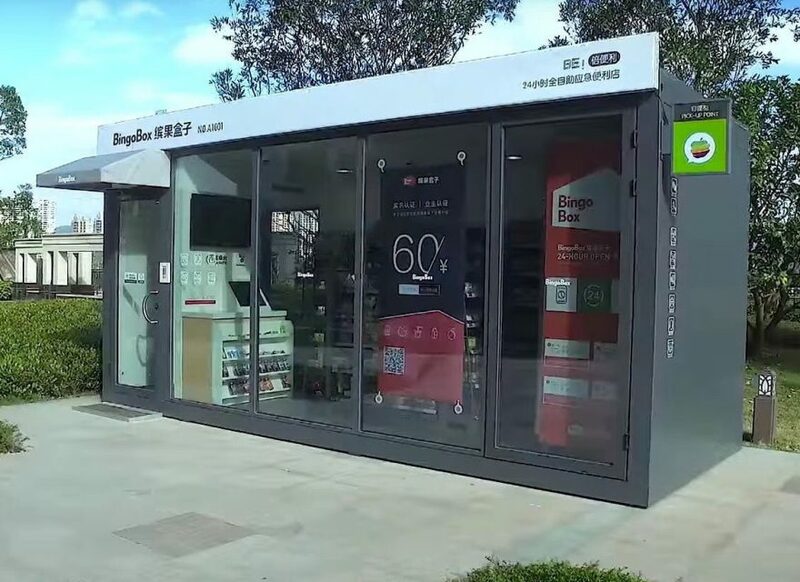 Bingobox, a Chinese convenient store working with WeChat or Alipay is a perfect example of a smart use of digital in store. How does it work? Located in Zhongshan, in the Guangdong province, the shop is opened 24/7 and offers convenience products. BingoBox looks like a small container on wheels and displays 800 or 500 references. In order to shop there, clients have to scan a QR code to be identified in order to open the door. Once the client is done shopping, he puts his products on a check-out system with RFID reading abilities, and can pay via his mobile wallet after scanning a QR code. For further security, the camera acts as a watchman, and the client is entirely scanned on his way out to detect the number of articles bought. In case of fraud, the door won’t open. Notable fact: this concept was designed to be mobile, and it is possible to make the shop move according to your needs via your smartphone app. ‽ What about your concepts? Can you use digital tools to make your customers’ journeys as seamless as possible in order to reduce their “pain points”?